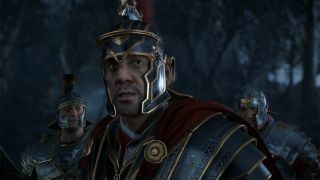 Microsoft has confirmed it will begin testing cheaper prices for digital copies of Xbox One games, starting tomorrow with Ryse: Son of Rome. The move comes following a clamour from early adopters bemoaning the perceived unfairness of downloadable game prices in relation to disc-based counterparts. Ryse, the third-person action adventure game set in the late days of the Roman Empire, will now cost $39.99 (down from 59.99) in the US, while Brits can get £15 off with the new price of £34.99. The offer will last for one week and will be replaced with another deal promising a special deal on add-ons which will commence on February 25. "Lot of people asked for better deals on our digital marketplace, so we're testing some…" tweeted Xbox Studio Manager Mike Ybarra. "2/18 through 2/24 you can get Ryse: Son of Rome off digital marketplace for $39.99. Special deal on add ons starts from 2/25." The price drop will give gamers more of an incentive to ditch their desires to own a physical copy of the game in order to take advantage of the greater value on offer through downloads. "That's far better than the used price at GameStop and others! Go digital!" Ybarra added in a later tweet. If the test becomes a full-blown policy change from Microsoft, it would dispel the accusations of greed from gamers, and also give traditional brick and mortar retailers something to think about.